White Phalaenopsis Orchids are one of my favorite plants. They are extremely long lasting plants with blooms lasting 2-4 months. The simplistic look of orchids adds an elegant touch to any location. People usually don’t realize that orchids are very easy to take care of and need minimal watering. 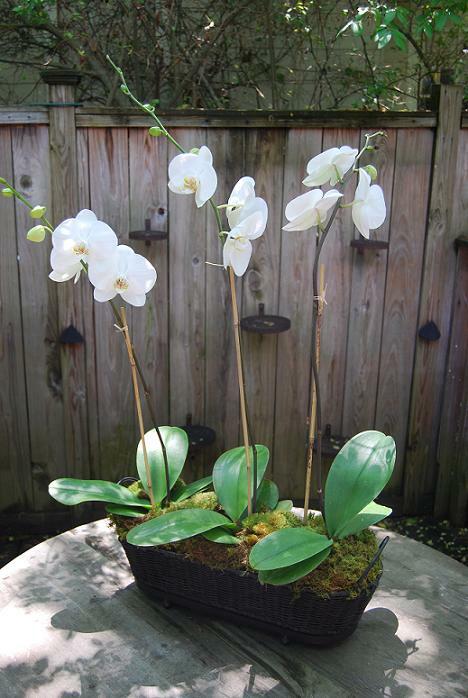 Orchids are one of my favorite items to send out from The Clay Pot.